Love the classic look of an Old World styled map, but want more up to date details and a more stylish look and feel? 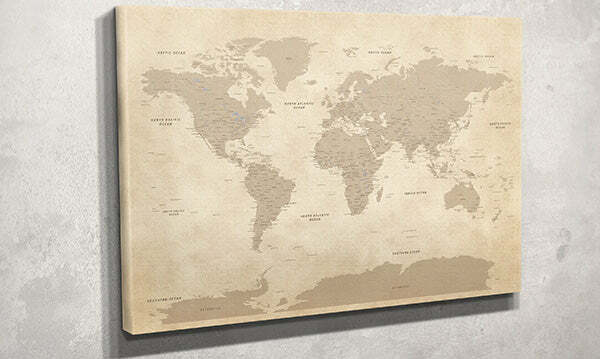 Then our Frameless Canvas Vintage World Travel Map with pins is the perfect choice for you or a loved one. 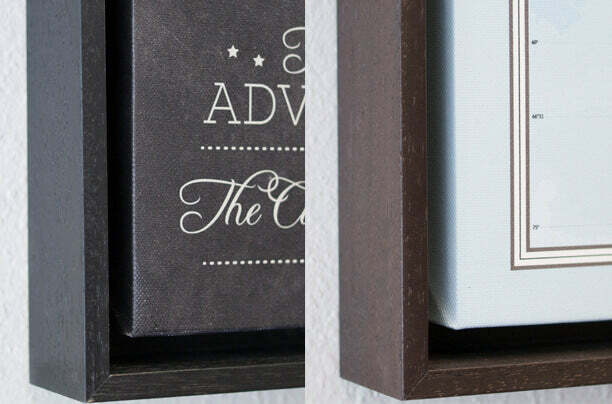 This gallery wrapped canvas map is simple and sophisticated with its antique coloring and elegant gallery wrapped design. With its neutral colors, rich canvas texture and modern frameless style, this Push Pin Travel Map is sure to match just about any decor. Use it to mark your travels while reminiscing about past adventures and planning out future explorations. Give it as a gift to anyone in your life who spends their days planning and daydreaming about their next big journey. Add one of the 6 unique personalization options to create that extra special, unforgettable gift. Warning…a serious case of wanderlust is a potential side effect of displaying this vintage wall map in your home! My map came sooo quick and when I opened it, I was afraid they wouldn’t have done my personalization correctly, bc it was a special request, but it came perfect and I love it. Can’t belive how quick it came too!! Less then a week!! I bought this as a surprise to my girlfriend. She cried. I think that is about all I need to say. Thank you so much!